Have you seen this giant lizard live? Loosen your nerves and relieve the mind for adventure in this amazing place. Because here's where the only habitat in the world for ancient animals living dragons. Being in the Komodo National Park just as you are on another planet who could give a very memorable adventure experience unforgettable. It's time for you to visit the Komodo National Park in the East. This place has a beauty and richness of underwater, as well as white sandy islands beautiful. Komodo is a large creature like a giant lizard with 2-3 m in length and weight reached 165 kg, or 100 kg on an empty stomach. Despite the creepy appearance, Komodo dragons are not active hunters of animals, they are predators who wait. In the wild, Komodo dragons usually hunt prey that is weak or has been injured. They only took one bite to paralyze its prey. After stalking its prey, sometimes for days, dragons will eat the prey that was dying. Although large in size, scaly, sharp nails, protruding tongue forked, and its ancient, but you need not fear to see seseram it because every visitor including you who want to see these animals will be accompanied by a ranger who is also a charmer. You can just follow the instructions and suggestions are all these experienced guides. Komodo dragon (Varanus komodoensis) is a rare species that is almost extinct, can only be found in Komodo National Park. Because of the uniqueness and rarity, the Komodo National Park declared as a World Heritage Site and the Man and Biosphere Reserve by UNESCO in 1986. Scientific world was first discovered in 1911 by JKH Van Steyn. Since then later expand the purpose of conservation is also to protect the entire biodiversity, both marine and terrestrial. This park includes 3 main islands of Komodo, Rinca, and Padar, as well many other small islands which, when added together have a land area of 603 km ². Total area of the Park today is 1817 km ². Extended to 25 km ² (Banta Island) and 479 km ² of marine waters would result in a total area up to 2321 km ². At least 2500 tail dragons living in this region. Large-sized Komodo dragons usually has a length of 3 m and weighing 90 kg. Komodo dragon natural habitat is open savanna grassland, rain forest, white sandy beaches, coral reefs, and beaches where the water is clear. In this area, you can also find horses, wild buffalo, deer, wild boar male, snakes, monkeys, and various species of birds. Komodo National Park has stunning underwater biota. The divers say that the waters of the Komodo dragon is one of the best dive sites in the world. It has a stunning underwater scenery. You can find 385 species of beautiful coral, mangroves, and sea grasses as a home for thousands of species of fish, 70 species of sponges, 10 species of dolphins, 6 kinds of whales, green turtles, and various types of sharks and stingrays. 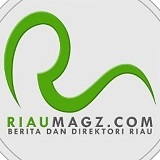 Www.floreskomodo.com site provides detailed information on how to get to the area of Flores. For now, the habitat of giant lizard as we call Komodo National Park (Komodo Island) is finalis of the new 7 wonder of the world. It will be the new one. We all hope that Komodo Island is the NEW 7 Wonders of The World. All off Indonesian peoples support for that and give the vote. 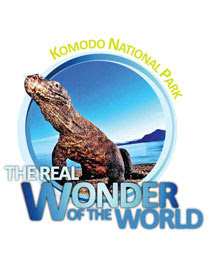 You can vote Komodo Island as the new seven wonder of the world by learn then vote. Please click on that blue-link article above.